We sent a writer deep into the Everglades in search of wild flamingos, which have returned to roost in an unlikely home after centuries of absence. The helicopter was heading east over the man-made wetlands that buffer the Everglades, called storm-water treatment areas (STAs). Mark Cook stared out the window absentmindedly. Cook is a lead scientist with the South Florida Water Management District (SFWMD), which owns and manages the STAs. He had just spent the day surveying the ibis population to the south. Now he was headed to the airport in West Palm Beach and home. Suddenly the sky around him blossomed into pink. Cook adjusted his eyes and looked. Then he looked again. 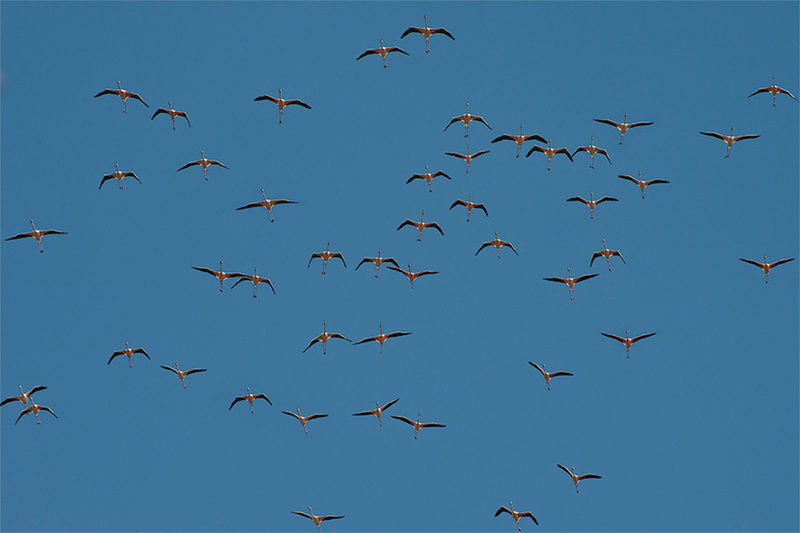 More than a hundred flamingos had materialized in the air in front of him. He asked the pilot to circle around so they could view the birds again. It was Cook’s first glimpse of the somewhat elusive band of wild flamingos that had been visiting South Florida regularly. To get to STA-2, I have to drive west along State Route 80 in Palm Beach County for over an hour, until the cities scale down to strip malls, and the strip malls dissolve into flat fields of sugarcane, rice and corn. Eventually, the Everglades’ soggy borders stop the roads, the horizon opens up and the world belongs to the birds—eagles, ospreys, hawks, owls, ibis, egrets, roseate spoonbills. They soar and hunt in the skies and roost in the mud and snags here, thriving in a man-made oasis. The storm-water treatment areas begin where the farmlands end. In these zones, acres of flooded land act as massive organic filters, whose plants leach out phosphorus and other excess nutrients from fertilizer run-off before it flows into the Everglades. They were developed as part of the Everglades Restoration Act, the vast and long-term federal and state effort to preserve one of the world’s most remarkable wetlands. In the process they’ve become mini wildlife sanctuaries. STA-2 is a desolate swath of wetlands crisscrossed with dirt access roads. McKemy greets me on the dusty roadside where I leave my vehicle. She loads me into a car driven by Rick Schofield, a devoted and knowledgeable birder, who happens to be a snowbird himself, a Massachusetts native who winters in South Florida. 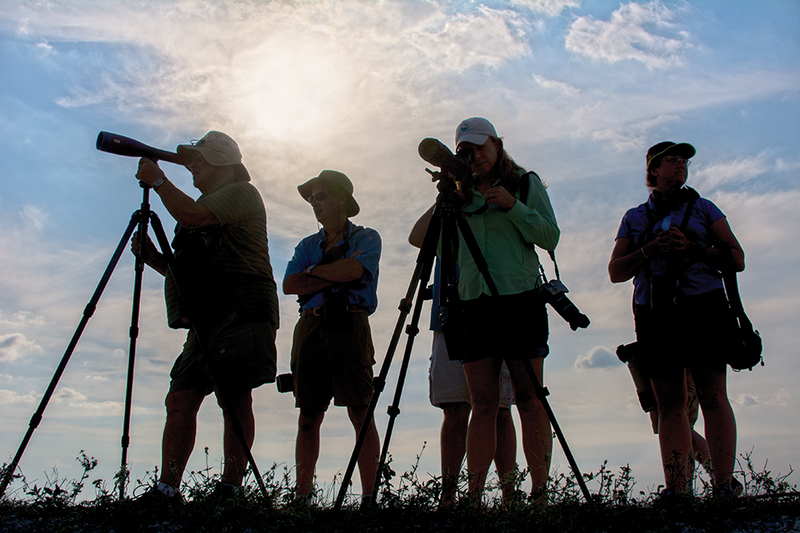 With half a dozen cars packed with scheduled bird-peepers trailing us, we head into the STA looking for flamingos, while keeping our eyes out for other interesting birds. Almost immediately, Schofield pulls the caravan over by a snag, a dead upright tree trunk, in which a red shoulder hawk has made a nest. One of the birders then alerts everyone to a fluttering bit of yellow, gray and green plumage in the cattails where a tropical kingbird has alighted. People are fascinated. Schofield explains that this is because the bird is not from around here. We continue on. At one point we pass a large alligator on the banks of a water cell (which is part of the STA) ferociously gnawing on what looks like a turtle shell. Overhead a long-winged osprey flies, carrying a fish in its talons. In fact, the sky is filled with raptors: hawks, harriers, peregrine falcons. In the water, wading birds, such as wood storks, herons and egrets, stalk the shoreline. I don’t take it personally. It’s mid-March and so far none of the tours have seen them. Florida’s most iconic bird, an animal with spindly legs and a sinuous neck appears so frail a stiff wind might snap one in half, yet it’s capable of transnational flight, and has only sporadically been seen in Florida’s wilds over the past two centuries. That was not always the case. Up until the late 1800s, huge flamboyances would congregate along Florida Bay at the southern end of the Everglades down to the southern Keys. It’s not clear whether a permanent colony ever bred here. Instead, the birds may have used Florida as a seasonal feeding ground. But they were regular enough visitors to catch the attention of European settlers. The birds were too pretty for their own good. The settlers short-sidedly hunted them for their eggs, meat and feathers, until they were gone from Florida. The branding of the flamingo as part of Florida’s image came afterward, in the 1930s, when aristocratic horse-racer Joseph Widener imported a flock from Cuba for his racetrack in Hialeah, just outside Miami. That colony has since reproduced and made a permanent home at the track. These are the birds seen in movies and postcards, including the opening credits of the 1980s TV show Miami Vice. Their proliferation at the racetrack was the first instance of flamingos successfully reproducing outside their wild state, according to Hialeah officials. The racetrack’s infield is now a National Audubon sanctuary. Then, in 2006, an SFWMD maintenance crew spotted a few birds in STA-2, according to the district’s wildlife coordinator, Brian Garrett, and again in 2007, then 2008 and so on. The numbers weren’t large, no more than 10 at a time. At first the assumption was that they were escapees from Hialeah or from Zoo Miami. But the arrival of the big group in 2014 almost certainly showed they were wild. That meant they flew hundreds of miles from their breeding homes in the Bahamas, Cuba or Mexico. The question now was, would they stay? The 2014 sighting caught the attention of Dr. Frank Ridgley, Director of Conservation and Research at Zoo Miami, who, along with his group of researchers and Tony Pernas of the National Park Service, had been researching the bird’s natural history in Florida. The official record was inconsistent to say the least. 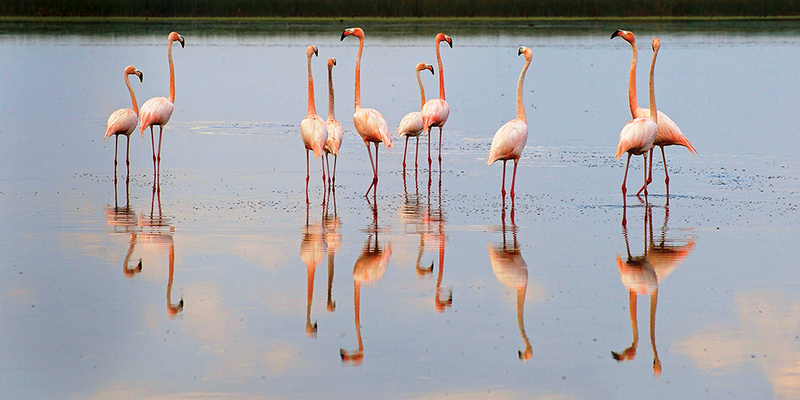 Their interest was spurred when a stray flamingo ended up in the Everglades with a band on its leg indicating it was born in the Yucatan. Then, last year they found a flamingo in the Keys that they were able to tag. They’ve been waiting for it to leave Florida to see where it calls home. Their goal now is to capture one of the STA-2 birds and tag it to see where they’re coming from. So far, no luck. I’ve also been snubbed by the wild flamingos, after three hours in the Everglades searching for them. So I take my disappointment to Miami’s Jungle Island, which has a captive flamboyance. Jason Chatfield, the vice president of zoological operations, has invited me to help build the mud mounds the birds lay their eggs on. Chatfield and I roll up our pants and wade across a man-made pond to a small island where the right kind of muck has been carefully cultivated. We start building up a few mounds that the birds will then, hopefully, add to. The goal is to see baseball-size eggs on top of those mounds in the coming weeks. The birds, curious, cluster together on the shore to watch. Finally, I’m able to see them close up: the improbably delicate legs and necks, the black trim along the wings, that ridiculous beak. There’s a moment of cognitive dissonance. The birds hardly seem exotic to me. The shape and color are so familiar. Of course they are—their image is reproduced everywhere from lawn ornaments to our state’s lottery logo. And then the irony settles in. The bird’s image is ubiquitous in Florida, but its actual existence here is a mystery. 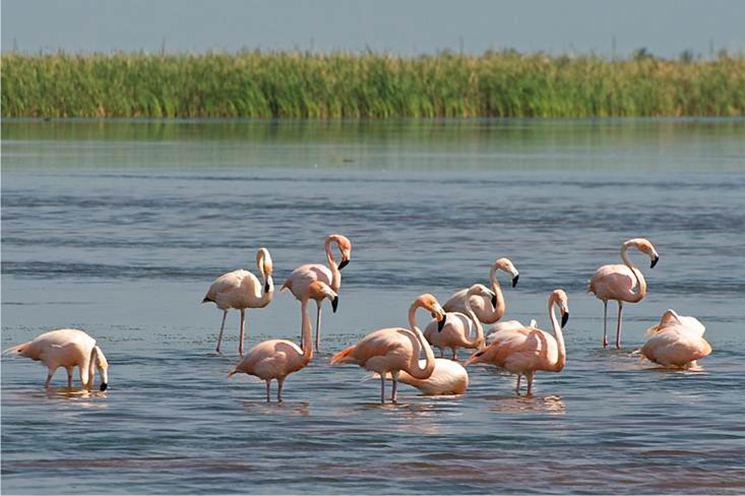 In late April, at the end of what has become Florida’s wild flamingo season, I get a note from McKemy, saying that the flamingos have finally been seen in STA-2. A day later Chatfield tells me that two of his flamingos have laid eggs (the number would grow to 11). Then the SFWMD’s Garrett sends me pictures of the birds that alighted in STA-2 this year after my visit. There they are, wading in mirror-smooth water. Then they appear to run on the water to gain lift and fly away. Finally, they are in flight, their long wings extended, the edge feathers turned up delicately. Their necks are stretched straight ahead and their legs extend straight back. They are frail-looking on land, but elegant and in control in the air. I wonder where they’re headed: across the pond, or across the Florida Straits? Will they come back next year? 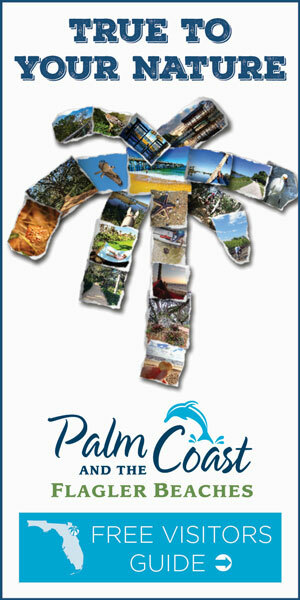 And, most pressing, will they ever make Florida home again?